Yay! Fitztown Challenge Blog is having Challenge #52 - Anything Goes! Don't you just LOVE these type of challenges? Who doesn't? 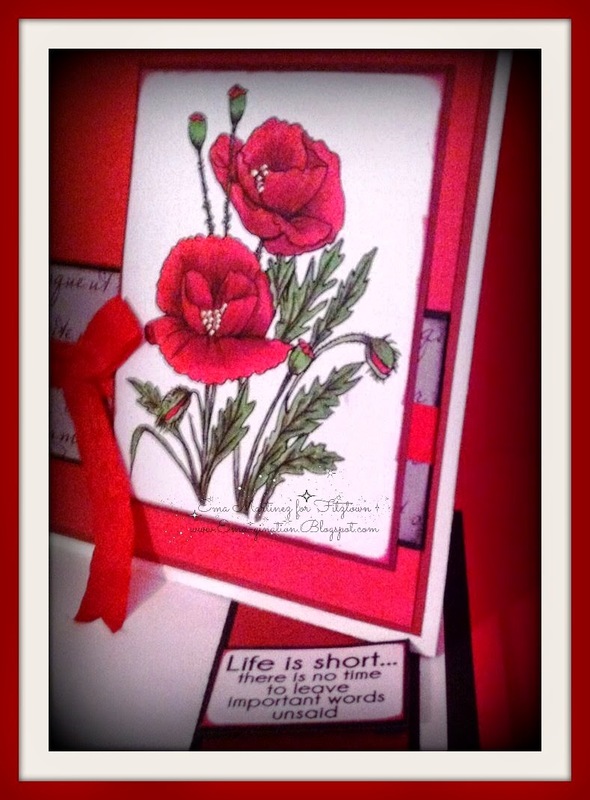 I've made this card for a friend's sister. It is LONG overdue. She asked I make her sister a card about a year ago. Yeah! I'm a bad friend. Well, at first, I had gone back to nursing school which turned out to be a fiasco because I got so sick from the chemo oral drug I was taking. Then, when that was switched out, I felt well for a few weeks before I got even sicker. THEN, when the new chemo was switched out... I've been struggling with it off and on. Also, since this was for a dear "imaginary" friend... that's what I call my online friends... no one sees them but I know they are there... ;) ... I wanted just the right card. This is the card. Long overdue but with a special message. I hope both of them like it. I've written a very personal message dear to my heart before sealing it to mail. Thanks for stopping by my place today! 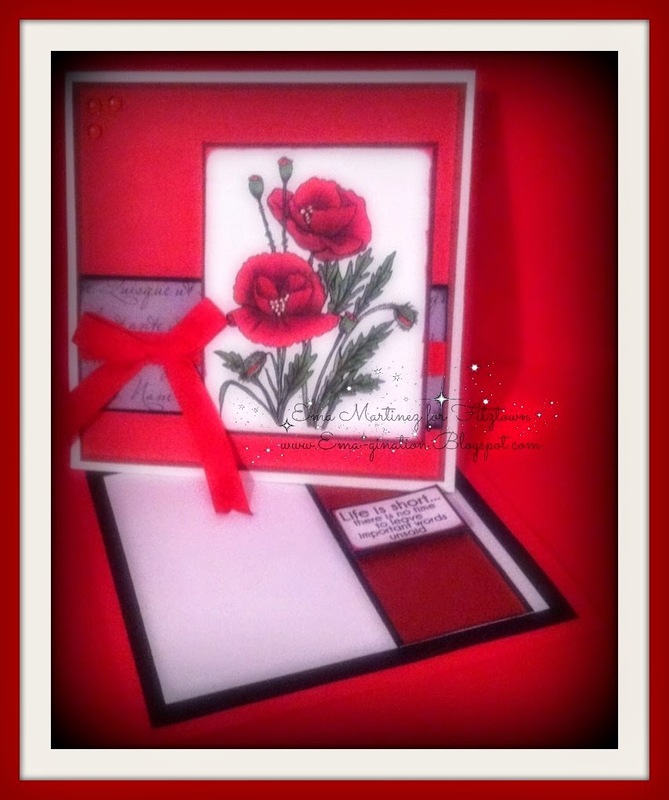 Please pop on over to the Fitztown Challenge Blog and check out what my team mates have created! Beautiful image and layout. Praying you have an awesome day filled with joy. Thank you for joining our 148th challenge. 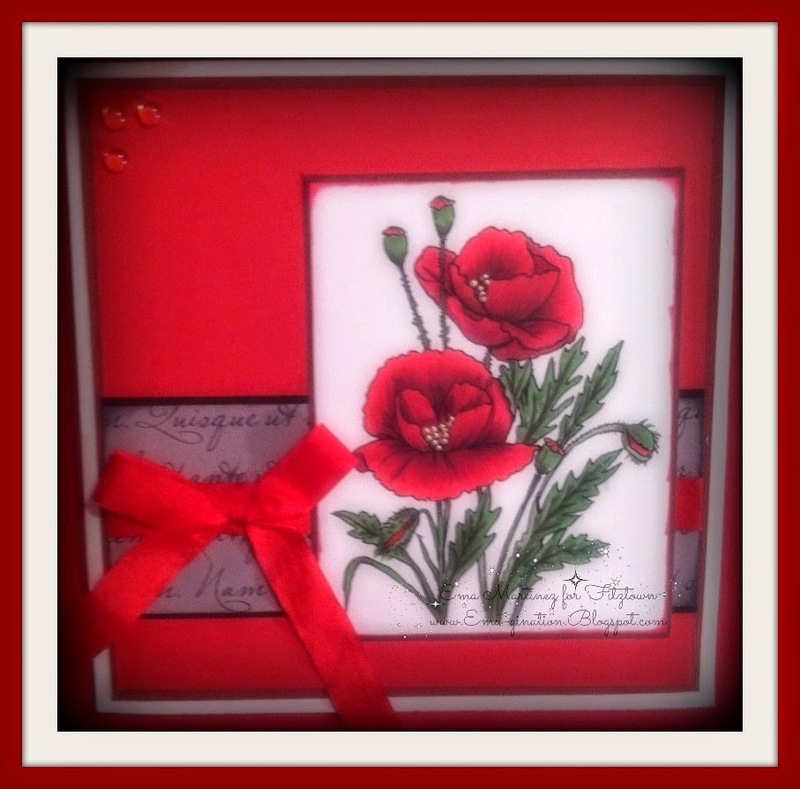 What a grogeous card - I love poppies!!! 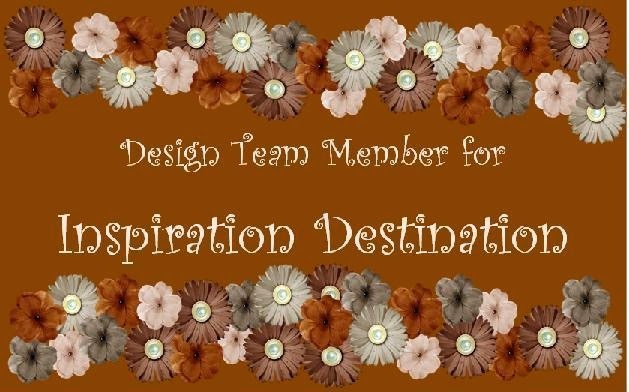 Thank you for joining us this week at Suzy Bee's Bloomin' Challenge Blog - good luck!! !